[stag_intro]Nike has had a huge success with the release of their VRS Covert 2.0 family. While they had a relatively warm reception with the unleashing of the original Covert Driver, Fairways, and Hybrids last year – this year has shown an increase in acceptance, adoption, and momentum for the line. The Covert woods released last year were one of our all-around favorite drivers and fairways of the year. The Covert 2.0 lineup for this year has only furthered the case for this great lineup. As far as the updates go – the head of the club has a slightly modified shape, the cavity is a bit smaller, and the overall look is improved with small updates in color placement. The increase in head size to 460cc for the Tour version of the driver also adds some welcomed forgiveness. This driver is likely the most distinguishable mainstream driver on the market. The red head of the driver gives it a modern and unique feel at address and the sole of the driver combines accents that provide some of the best aesthetics of the 2014 driver options. The stock driver is elegantly paired with a great Kuro Kage Silver TiNi shaft and is color-matched in a way that looks great and draws attention. The red grip adds some color balance to the overall look of the Driver, but leaves a bit to be desired with the stock selection of the Golf Pride Tour Wrap grips. Nike has continued their use of the excellent FlexLoft adapter, which provides independent settings for both Loft (8.5 – 12.5) and face angle (left, neutral right). The driver is on the heavy side, but the weight gives it a solid feel and an overall presence that inspires confidence and stability. One of the additional key aspects of the driver is the sound at impact. The crisp, substantial, and pleasing sound of the driver is one that is easy to get used to and is one of the best sounding drivers on the market. The Covert 2.0 Fairway Wood is exactly what you would expect visually – a fairway shaped little-brother of Covert 2.0 Driver. While the specs of the Fairway Wood talk about substantial improvements in the Fairway model from the version released last year – the club feels and performs similar. The similarities are great – given the Covert Fairway Wood was a strong performer and the one that earned a spot in my bag for the majority of last year. Both the Covert Tour 3 Wood and Covert Tour 5 Wood come with the FlexLoft system. The 3 Wood is adjustable from 13 – 17 degrees while the 5 Wood is adjustable from 17 – 21 degrees. Nike continues to raise the bar with the bulk of their new club releases. 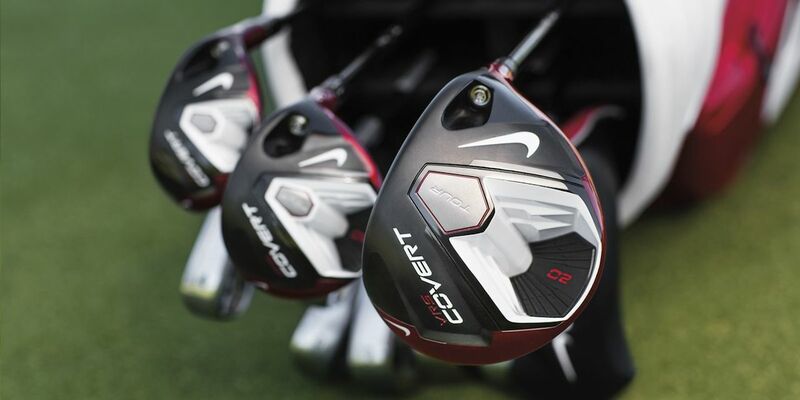 The 2.0 version of the Covert Tour Driver and Covert Tour Fairway Wood are both impressive iterations of the 2014 Nike Golf lineup.